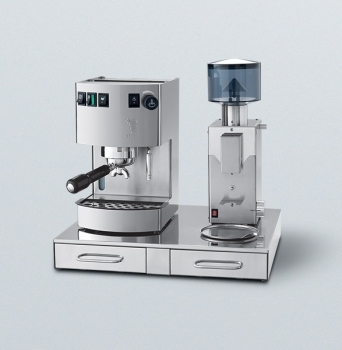 Espresso coffee machine with excellent performances in its range.The commercial grade and efficient group head allows to taste the finest espresso coffee, cappuccino or tea at home. 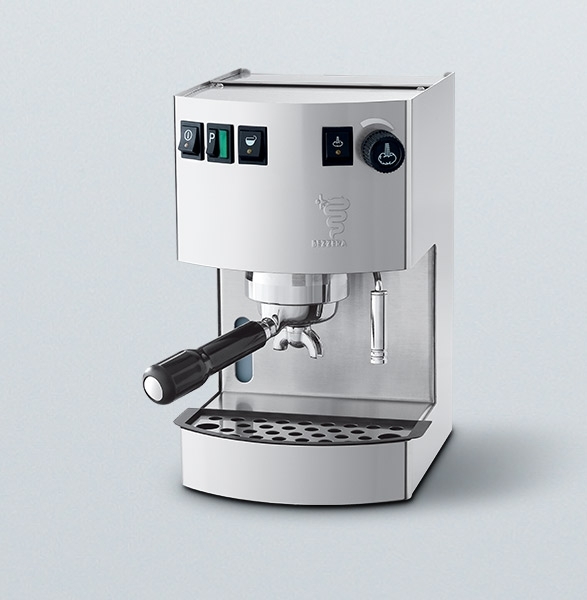 It is equipped with a 3-way solenoid valve like the professional machines, and a dedicated button for the 0,25L boiler refill. 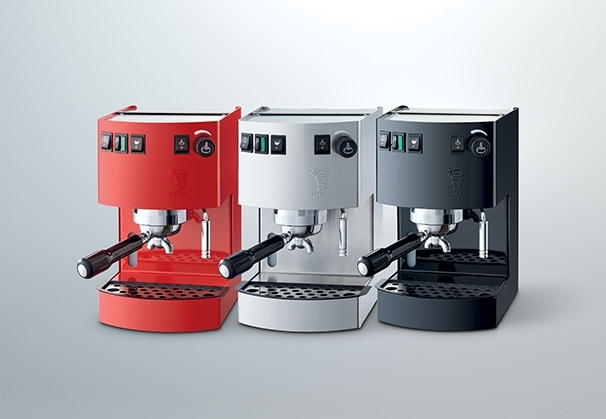 Available in stainless steel AISI 304, black or red.